Every month, Keller Williams Realty’s This Month in Real Estate provides expert real estate opinion and insight on real estate trends across the U.S. and Canada real estate markets. The purpose of these real estate market update videos, is to help Keller Williams real estate agents combat the “doom and gloom” messages of the national print and television media with real information on the state of the real estate market. In this month’s videos, according to a national survey of real estate transactions,over 90% of buyers start their search on the internet- and then spend almost two months looking before finally settling on the right one for them. That two month lag time means that houses that are on the market right now are in the best position to close in the early spring. So if you’re looking to sell in the spring, you’ll want to list your house now- and get a head start on the competition. 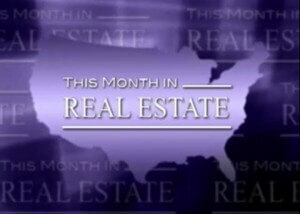 This Month in Real Estate for U.S.